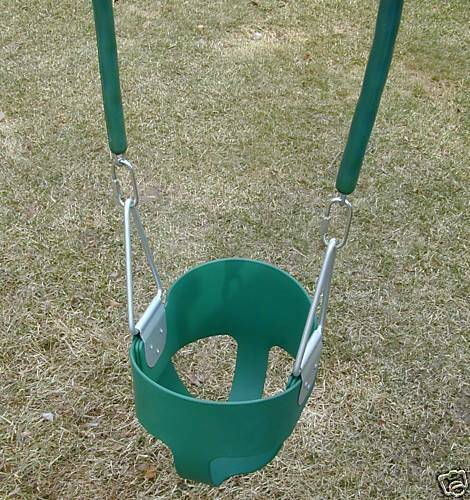 Full Bucket Infant Swing - 360° with Child Grip chains. Available in Green or Yellow. Child grip chains are ONLY available in green or yellow. Blue infant swings will be sent with yellow chain by default unless requested otherwise.